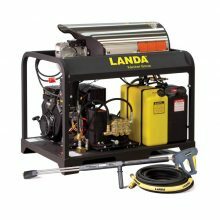 Using a 12-volt DC burner assembly offers a rugged skid frame with robust cleaning performance specifications at an economical price. 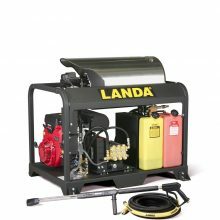 The self-contained Landa PGDC Series can tackle virtually any outdoor cleaning project once you provide the water. An optional wheel kit makes this already versatile machine even more portable, allowing for easy transport on-site. 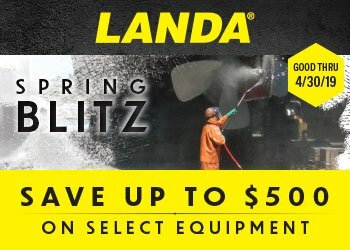 With a reliable Honda or Vanguard gasoline engine, the Landa PGDC Series can provide hours of continuous worry-free cleaning power!